Does your alarm ever go off and you have that all-to-familiar internal struggle where you try to convince yourself that getting up and heading to the gym is going to be good for you while the other half of your brain tells you that your bed will never feel as comfortable as it does at this moment? Yeah that definitely happened this morning to me! This weekend, my mom and sister came through Weatherford. They were heading to Missouri where my sister attends college. We don’t see each other very often so naturally we stayed up late both evenings they were in town. Waking up at 5 a.m. is hard enough for me, but it was even harder after having stayed up later than usual! This quote pretty much sums up working out for me! It’s a daily, conscious decision that has to be made. When you feel like staying in bed, just remember that you can do it. This is another great reminder! Sometimes it’s easy to compare yourself to other people, especially when you’re doing a group workout. 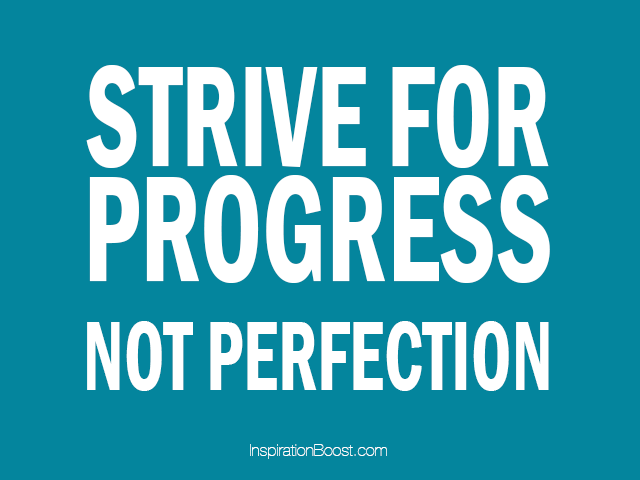 It’s so important remember that you are working towards an achievable goal. There is an end result that you are aiming for, but your goal is not the same as someone else’s. Compete with yourself and not the “perfect”person in your class. This one backs up my title for today. You can only accomplish what you believe you can accomplish. You have to encourage yourself or you won’t be able to go as far as you want. Your goals are within reach if you really believe you can get there! Part of having yourself in the right mindset is preparation. If you think of the tools and resources that you’ll need to accomplish your goals, then you’re so much more likely to truly believe in your own success. 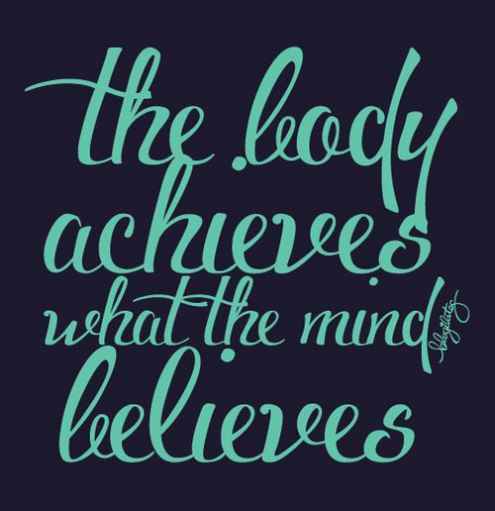 My mind is on a path to help me achieve my goals because it has thought through what I need: I bought healthy foods for the week, I’ve signed up for a workout class, I set my alarm for 5 a.m. so I can get to my class, I write these posts for accountability, I downloaded the Lose It app to track my calories, I signed up to order and share It Works supplements and wraps, and I have a partner (Nathan) who keeps me on the path to success. That quote is my day to a tee! I woke up determined to work hard (even though I was tired and my bed was calling to me!) and now I’m going to be able to go to bed satisfied that I stayed on the path to reaching my goals. Hope you all had a great Monday and lets do it again tomorrow!